This desk is a custom order and a great example of the level of customization we can do. 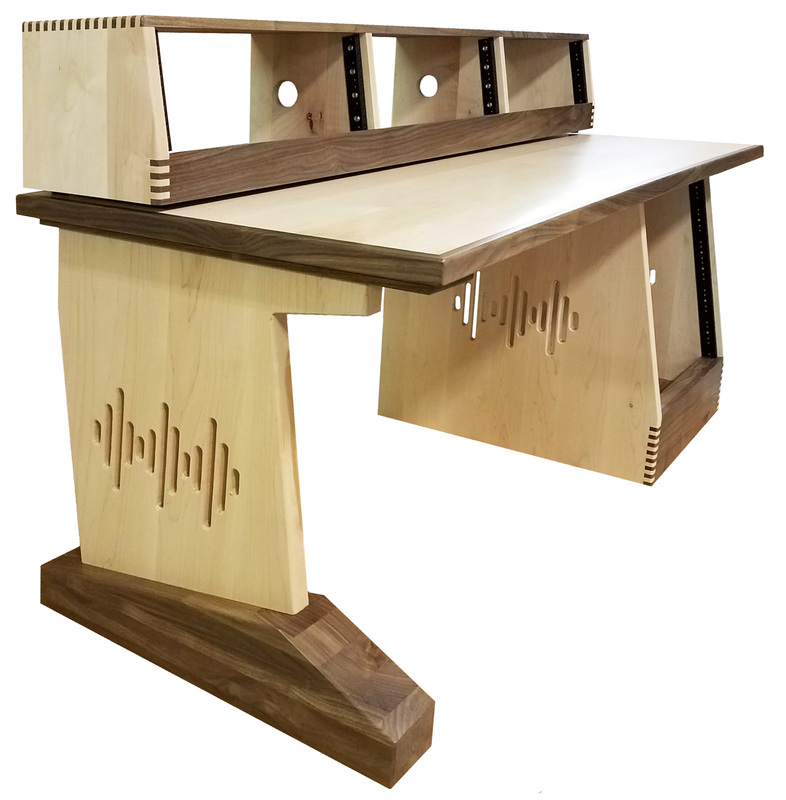 This is a mix of solid maple and walnut with our waveform logo routed into the underdesk rack and leg. Contact us if you would like a custom desk quote.